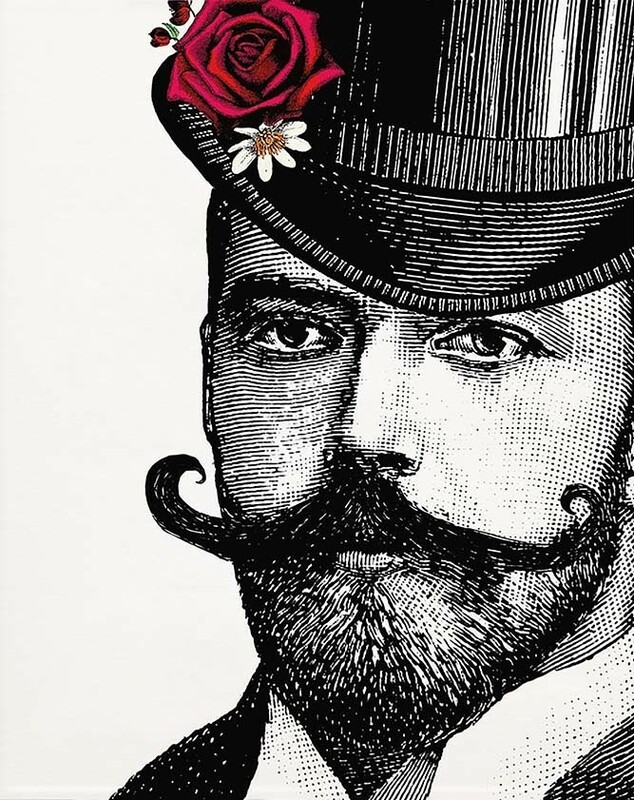 A striking Dashing & Dandy Gentleman art print, this gorgeous print will add instant impact and wow-factor to your walls! 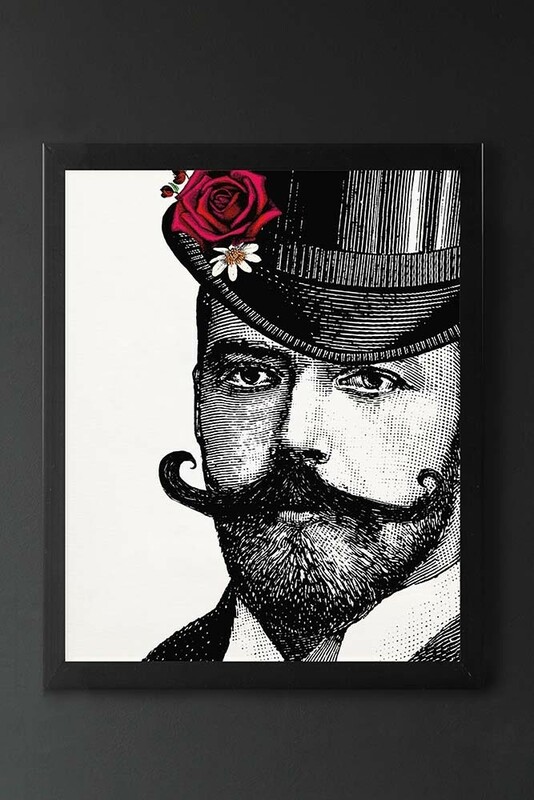 Part of our affordable art range, the Dashing & Dandy Gentleman art print is a striking print in black and white featuring a bearded fellow with a colour moustache and red rose and white daisy on his top hat. A quirky art print the Dandy & Dashing Gentleman Open Edition Art Print would look really fabulous displayed above the bed or on a mantelpiece or ledge in the bedrooms and living rooms. Alternatively, create a gallery wall of wonder and style the Dandy & Dashing Gentleman Art Print as part of your picture wall. Please note that this art print comes unframed so you can choose a frame to suit your home.